Managing your business’s cash flow can be a difficult task. Bills are due at various times of the month, the size of your bank account is dependent on the amount of business coming in, and you may never have a large enough cash influx to help expand your business or make large purchases. You can ease this financial strain on your business – and gain access to large-scale good and services – by utilizing these four ways to manage your business’s cash flow. When your customers don’t pay what they owe you, this drastically impacts the balance of your bank account from month to month. You have several options for dealing with non-paying customers. You can continue sending them letters urging them to pay. You can send them to collections and hope that the threat of bad credit will convince them to pay. Or, you can sell the invoices to an invoice factoring service. Invoice factoring companies essentially pay off your non-paid invoices at a percentage. This percentage varies depending on your industry and customer profile, but can reach up to 96 cents on the dollar. The company now owns the invoices and has the right to pursue payment from the original customers. By factoring your invoices, you obtain nearly the full amount of money you should have received from your customers up front. You no longer have to chase them down for payment, and don’t have to anticipate the risks of non-payment. Many types of businesses require the acquisition of expensive equipment in order to function and grow. This equipment can range from trucks and trailers to fridges and stoves. Buying your business equipment or replacing broken or outdated machinery requires you to front a large lump sum. However, due to the flow of your business funds, it can be difficult to keep such a sum on-hand for emergencies or business expansion opportunities. By leasing your equipment, you spread the cost out over a number of monthly payments. Depending on the cost of the equipment and your business’s credit rating, you may be able to acquire the equipment you need with little to no money down. Just as it’s difficult to front large amounts of cash to purchase business equipment, so , too, is the same true of business software purchases. Furthermore, once you’ve purchased a software system, the large cost means that you’re stuck with whatever system you choose for years. You can change this state of affairs by purchasing your business software, such as your CRM system or sales software, through a cloud-based software-as-a-service provider. You gain access to the software online through a monthly fee. Maintenance and upgrade costs are bundled into the service, and you can choose to opt out or buy a different plan any time, with no financial loss. Your employees need to be paid on a regular basis. Defaulting on payroll is the greatest fear of many employers and business owners. However, you can mitigate the effects of your cash flow issues on your employees by utilizing a payroll services provider. Payroll services providers can perform a range of payroll-related services: from hiring employees, collecting employee hours, making employee schedules, calculating taxes, and distributing wages. The influx of cash through your business is constantly flowing out again, and it can be difficult to manage effectively. Creating a cushion of extra cash is important in case of emergencies. However, you can reduce your need for large pools of funds by transferring your business payroll to a payroll service, paying for equipment and software on a monthly basis, and hiring invoice factoring companies to inject fresh cash into your accounts. 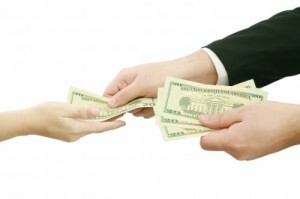 Five Ways To Get Paid Faster! How To Stay On Top Of Your Cash Flow.